Published: Dec. 27, 2015 at 05:29 p.m. 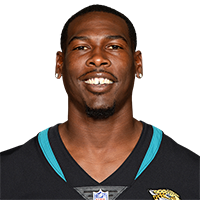 Published: Nov. 30, 2014 at 03:27 p.m.
Jacksonville Jaguars wide receiver Marqise Lee grabs a 30-yard touchdown pass from quarterback Blake Bortles. Published: Nov. 23, 2014 at 03:54 p.m.
Jacksonville Jaguars quarterback Blake Borltes slings a 37-yard pass to wide receiver Marqise Lee. Published: Aug. 28, 2014 at 09:09 p.m.
Jacksonville Jaguars rookie QB Blake Bortles throws a bomb to wide receiver Marqise Lee for a 57-yard touchdown.